How much do we know about this city of legend? The legendary ancient city of Troy is very much in the limelight this year: a big budget co-production between the BBC and Netflix: Troy, Fall of a City, recently launched, while Turkey designated 2018 the “Year of Troy” and plans a year of celebration, including the opening of a new museum on the presumed site. The Hittites were an ancient Anatolian people whose empire was centred in north and central Anatolia from around 1600-1200BC. 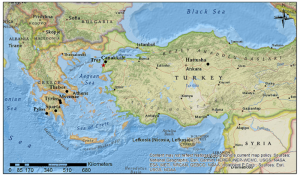 The Hittite empire, at its high point, included modern Lebanon, Syria and Turkey. The city of Troy was part of a small independent confederation named Assuwa that tried to resist the Hittite expansion but which eventually yielded and became a sort of vassal state to the Hittite empire. Archaeologists working in Greece and Turkey have discovered a great deal of evidence of this complex political system, of the kind that might have inspired Homer’s epic. 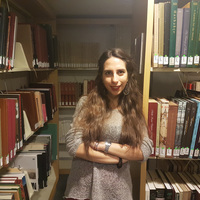 Political treaties discovered in the Hittite capital city, Hattusha dating back to the Late Bronze Age confirm the existence of a very powerful city not far from the Dardanelles strait called Wilusa (Greek Ilios/Troy) ruled by a king called Alaksandu (maybe the Trojan prince Paris – whose birth name, according to Homer, was Alexander). And archaeologists working in Troy have discovered skeletons, arrowheads and traces of destruction which point to us a violent end for Troy Level VII – as the late Bronze Age city has been designated by archaeologists (so far levels I to IX have been excavated). At that stage, the political and economic system in the Mediterranean was disintegrating. A series of factors – states’ internal turmoil, mass refugee migrations, displacement of people, trade disruption and war – led to the collapse of the political system and to a new era. Because of new technology being adopted by the powers of the time, this has become known as the Iron Age. The beginning of this new era witnessed destruction throughout the Mediterranean basin. Wealthy cities such as Troy as well as Mycenae and Tiryns in Greece were destroyed and abandoned. These events were so significant that the memory lasted for centuries. In Greek mythology, the tale of the fall of Troy was recorded in two epics, the Iliad and the Odyssey, traditionally attributed to Homer and written about 400 years after these events. 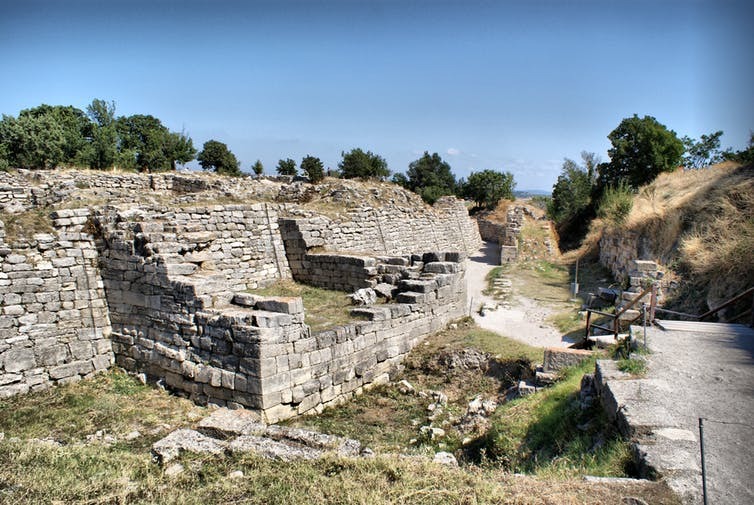 The location of Troy, at the crossroad between the East and the West, is not only a centre of challenge (embodied by the Troyan war), but also of dialogue. Troy, in the past, was a bridge between cultures and its importance to the world has been confirmed by UNESCO. The site of Troy was enlisted in the World Cultural Heritage List in 1998 and it is considered a site of “Outstanding Universal Value”. Excavations on the site of Troy started more than 150 years ago. The site was discovered in 1863 by Frank Calvert but it really became famous thanks to the excavations conducted by the German archaeologist Heinrich Schliemann in 1870. The work of Schliemann made the story come true and resulted in renewed interest in Troy and its history. Some 24 excavations spread over 150 years have now revealed many levels of occupation of the site – from the Early Bronze Age (Troy Level I, about 3500BC) to the Roman era (Troy IX, about 500AD). An award-winning project “Troia Museum” will open this year as part of Turkey’s 2018 year of Troy. Turkey’s culture ministry has invited some of the actors from the 2004 epic Hollywood movie Troy to lend the event some star power. We’ll probably never know if Helen’s beauty really did launch a thousand ships, but in decades to come Troy will continue to yield up its fascinating and romantic history and millions of people will thrill to retellings of Homer’s epic fables of the long-passed Age of Heroes. This entry was posted in Greece, Greek, History. Bookmark the permalink.